Now, Spotify has cut two distributors from it’s « Preferred » list. Under Artist Distributors, EmuBands has been dropped from the « Preferred » list to a new lower « Recommended » tier. 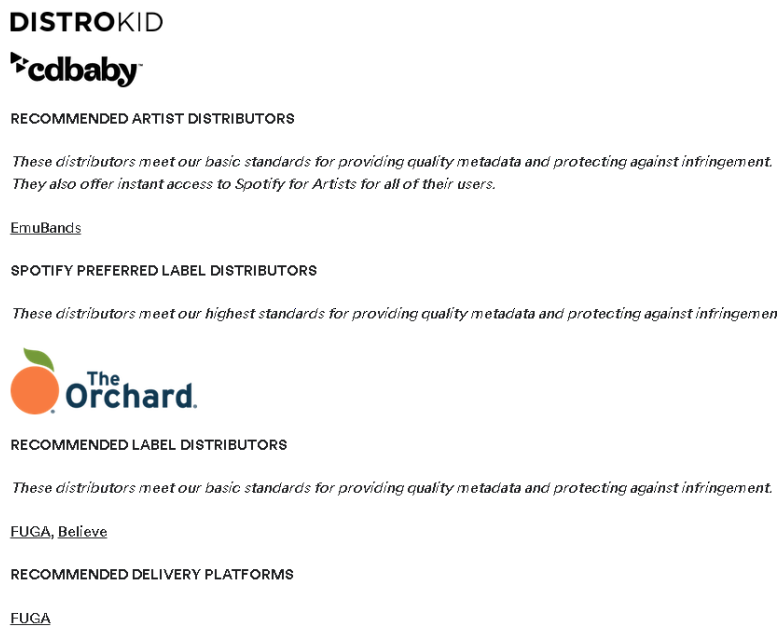 Only DistroKid, which Spotify invested in last year, and CD Baby remain as « Preferred » conduits to Spotify for independent artists. Distibutor Fuga lost its « Preferred » status as a Label Distributor, leaving only The Orchard with the top classification. FUGA is now in the « Recommended » category alongside a newly elevated Believe.